Former IFL heavyweight champion Roy Nelson calls Brock Lesnar the heavyweight division’s Conor McGregor and believes a fight between himself and Lesnar would be the biggest fight in UFC history. Seems like fighters have figured out it’s a good idea to call out the biggest draws. When Brock Lesnar announced he was returning to MMA at UFC 200 there was a horde of heavyweights angling for the matchup. Ultimately the fight went to Mark Hunt but that hasn’t stopped one fighter from trying to position himself for a fight with Lesnar after UFC 200. 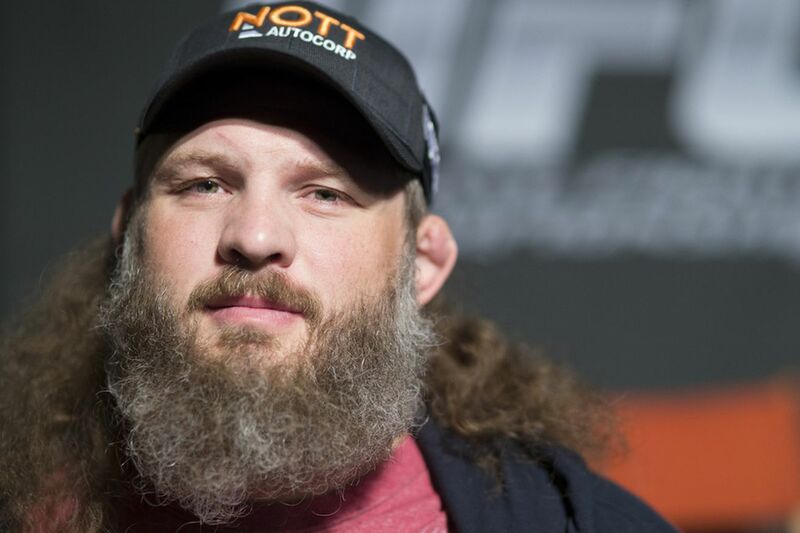 Roy Nelson spoke to Damon Martin of Fox Sports yesterday about the appeal of fighting Lesnar. “I’d definitely take that fight. It’s definitely a money fight. In the heavyweight division, that’s the Conor McGregor. He just brings a whole other audience. It would be like if Tom Cruise said he wanted to fight or Shaquille O’Neal, it’s just somebody that’s so out there and well known. Lesnar is arguably the biggest draw in the history of the UFC, even over McGregor; however, that doesn’t mean the fight is a money fight for Nelson. Barring his contract giving him PPV points (which seems unlikely though possible) Nelson wouldn’t receive a huge pay hike for taking the fight. He could however, use a victory to bolster his own star power a la Nate Diaz’s win over McGregor. It’s a position Nelson has been in before when he defeated MMA phenomenon Kimbo Slice during The Ultimate Fighter.